Vivien Morse, a young social worker is discovered battered to death in Silver Lady Woods. Everyone assumes she was attacked by her estranged husband until her supervisor disappears. The connection appears to be Vivien’s last client. A damaged and disturbed girl who believes a bundle of rags is her lost baby and never leaves the family farm while she awaits the return of her lover. The matter is confused by the arrival of a stranger to the area clearly searching for something or someone and an escaped convict with connections to the area. DCI Hatherall has to separate fact from fantasy to discover who did kill Vivien Morse. 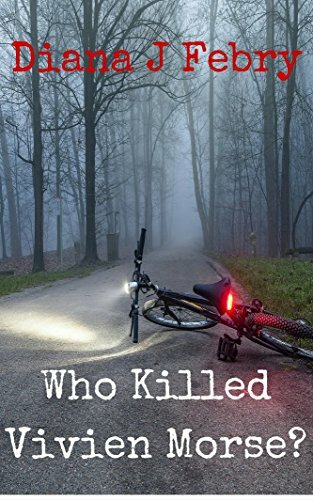 A well plotted murder mystery with quirky characters and plenty of suspects and twists to keep you guessing. I really couldn't guess which way the investigation was going to go nor could I figure it all out until it was fairly obvious towards the end. The author has created a very strong, eclectic mix of characters with richly detailed and interesting back stories. The author's talent really shines in her depiction of these strange, endearing people. The novel is also laced with a subtle dark humour which I enjoyed immensely. I hadn't read any of the previous books in this series but it didn't deter from my enjoyment of the story. There is good chemistry between the members of the investigating team and I think it would be interesting to go back and read more about them from the beginning of the series.